The Hotel offers dining delicacies for all palates, with options for individuals, couples and families. The Jamani Buffet – a window to the soul of Africa – offers contemporary South African cuisine in a casual environment. A large balcony with vistas of the cascading pool glistering in the morning sun or softly lit at night creates the ideal setting to enjoy a leisurely buffet. The Jamani À la Carte Restaurant offers a true reflection of South Africa’s love affair with food and wine focusing on only the best locally sourced ingredients. This is an elegant and upmarket dining experience with breathtaking sunset views of the lagoon and golf course. Private Dining options are available. Upstairs the Laguna Lounge is the ideal place to enjoy exceptional coffees, tea’s and cakes whilst immersing in a good book or playing a game of Backgammon. For a real delight, treat yourself to the famous Arabella High Tea. Reclaim your sense of self, one lavishly idyllic minute at a time, at the award-winning Arabella Spa or simply indulge in the heated indoor hydro-pool and outdoor lap pool, sauna, steam room and the crystalline waters of the swimming pool. Well revered as one of South Africa’s premiere spa destinations, the award winning Arabella Spa is a heavenly retreat devoted to wellness. The serene atmosphere of the spa encourages guests to leave their worries at the door and enjoy a heavenly pampering. The Spa is home to the world-first African Rainforest Experience, a two-hour sensory water and steam treatment using African products and inspired by African rains. Arabella Spa combines traditional and modern therapies for deep relaxation. Guests at the Arabella Hotel can relax in 5 star style with a choice of rooms to suit their specific needs, from the Deluxe and Grand Deluxe rooms to the exquisite Presidential Suite. All rooms offer guests floor to ceiling windows and private balconies to take in the majestic views. With 24hr room service and free high-speed Wi-Fi guests will want for nothing during their stay at the Arabella Hotel. 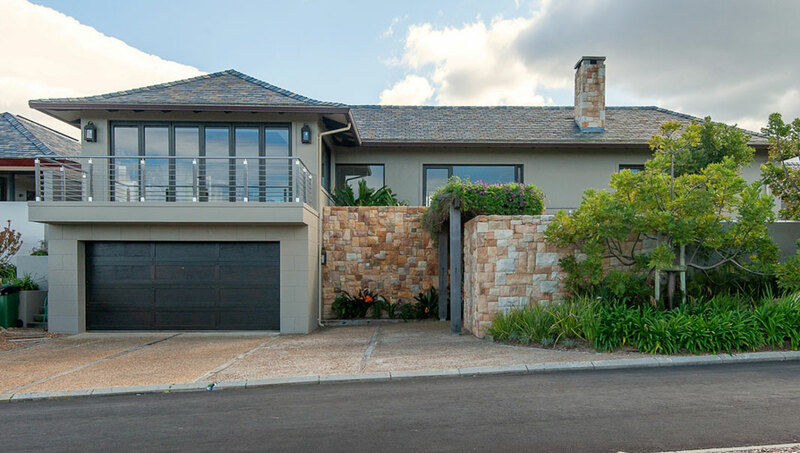 A beautiful single storey home which offers superb lagoon and garden views from an elevated position. North-facing garden with secluded heated swimming pool. This 5-bedroom home has it all. 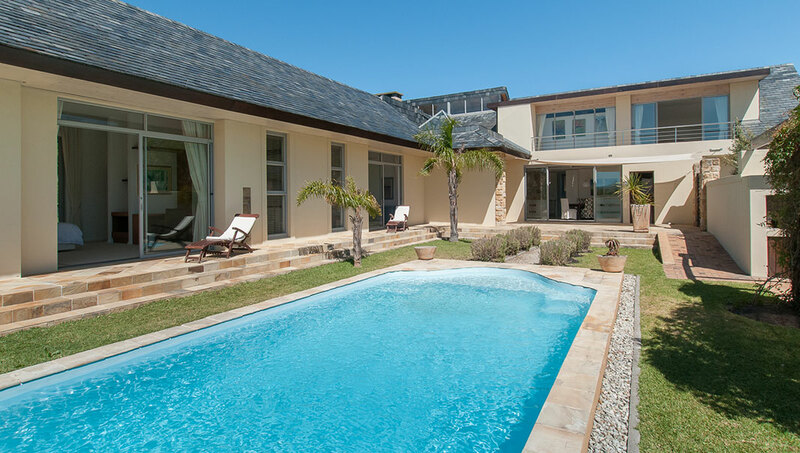 North-facing with lagoon views, is beautifully finished, open-plan and includes a heated swimming pool. The house is superbly maintained. 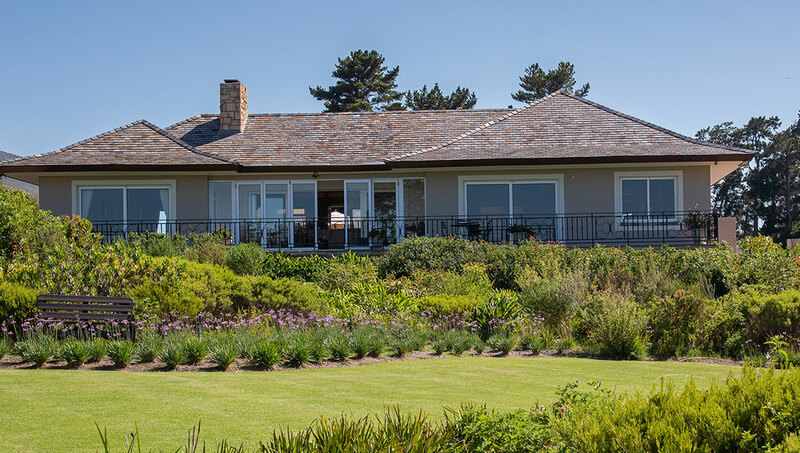 Spacious, modern home with beautiful golf course and lagoon views. Situated on a big plot in a quiet cul-de-sac.